Apple, the iconic brand known for redefining gadgets and computing and its co-founder and CEO, Steve Jobs, have always remained in the spotlight for being absolutely unconventional. Listed below are few unknown facts about the company and the man who led it to the zenith of success. Jobs refused to sell PCs and preferred dogshit. He was fired once by Apple for trying to lower the Mac price. Steve Jobs named Apple because the brand was preceding Atari in his phone book. He tried buying Adobe Systems in the 1980s. Steve Jobs experimented with LSDs in his youth. He stunned the world by keeping his remuneration $1 since 1997. Ethnicity wise, Steve Jobs was half Syrian Muslim, something not many know. He met with his sibling Mona Simpson much later in life. 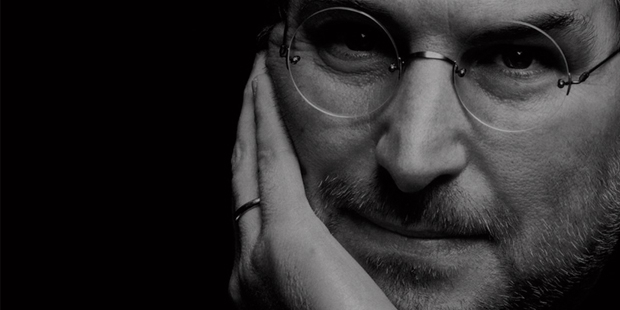 Steve Jobs was a pescetarian. He was offered an internship at HP at 12. He had a brief fling with singer Joan Boaz. He was a Zen Buddhist. He tied the knot with Laurene Powell Jobs in 1991. Ronald Wayne was the man who drew the first logo of Apple. Apple co founder Steve Wozniak retired in 1987. Steve Jobs acquired famous Pixar Animation Studios in 1986 from George Lucas. He did not use license plate on the Mercedes model he used. His signature was used in metallic plate in every genuine Macintosh. The first computer of Apple, Apple I was sold for $666.66. Steve Jobs had children outside marital knot. He denied fatherhood of the first kid that he had with his girlfriend. Apple pioneered the concept of using the trackpad and mouse. Apple IIe was the company’s longest selling device and sold for 11 years. The iconic 1984 Apple ad was conceived by Ridley Scott, who attained fame with the film Gladiator. Ronald Reagon awarded Jobs the National Medal of Technology. Steve Jobs suffered from dyslexia. He traveled to India in 1974 for religious and spiritual purposes. Steve Jobs reportedly convinced PepsiCo president to join Apple. Codename for iPod was Dulcimer. Upon its debut, every Apple employee was given an iPhone free by Jobs. Apple Online Store came into existence in 1997. Apple Computers became Apple on January 9 of the year 2007. The Apple 1 did not ship with monitor and keyboard. Within 5 years of debut, Apple managed to enter Fortune 500 list. Apple lacks proper computer recycling program. The smallest Apple Store is in California’s Santa Rosa Plaza. Jonathan Ive designed the iPhone, iPod and iMac. After being fired by Apple, Jobs set up a company named NeXT. The Mac’s predecessor, Lisa was a business failure. The costliest Mac computer is the MacBook Air Platinum. Apple cannot sell iPhones in Brazil for trademark issues. Smoking beside a Macintosh can nullify warranty! Apple Inc fought bitter legal battles with Apple Cops, a Beatles company. Apple does not ship products by sea. Apple is the patent owner of the slide to unlock feature. Code name of iPhone was M68. Apple was sued by Carl Sagan, albeit unsuccessfully, in 1994. Fake Apple stores in China look breathtakingly authentic.